Hear hear. Great idea. It is time that we all take a step back and start being kind and nice. It sure feels good. Right, and it’s not too hard to do! Glad you liked my story, Candice. Many thanks. The power of a good meal! Right. And I’m aiming to have eggplant parm again within the next two weeks. Greetings, fellow eggplant fan! Here we call the purple wonder a Brinjal. But no matter. It tastes delicious, regardless of name. I’m not an Egg Parm fan, but I love love love brinjal cut into thin half-moon slices, dusted with chick-pea flour and seasoning, placed on a thickly oiled tray, and baked in the oven. Eaten hot – Divine! eaten cold as a snack – still divine! Long live the Brinjal. And, also, long live more thoughtful Festive Season sentiments. Hi Alison. The eggplant/brinjal dish that you describe sounds fantastic. I know that I would love it. For me it is an aubergine…. best made into a turban with sweet pepper to line the dish with a tomato filling, and or cut into a fan, dusted with flour and fried in olive oil. You gave me a fresh insight on shopping malls… never thought of them as sources of blog material let alone sources of general inspiration. Hello there. I think I’ve had a dish similar to the one that you describe. It’s getting close to lunchtime where I live, and you’re making me hungry! I love how you pick up on these kind of things, that surround us every day, record them on your phone (the colourful trucks) and bring them to our attention. Inspirational indeed and if those quotes have reminded you to indulge in one of your favourite dishes a little more, all the better. I’m an inspirational kind of guy! (or maybe not). I wish! He went for big adventures. Me, I go for much smaller ones. Have a great rest of the week. I appreciate your stopping by. You are making me hungry…..l love eggplant parm !!! You know, of the various restaurants where I had eggplant parm recently, Marco Polo made it the best. Some places use too much cheese. In others, the eggplant itself is on the dry side. Damn straight is right! As long as no one is harmed, do more of what makes you happy. And I’m with you all the way with eggplant parmigiana. Food of the gods! It’s a great dish. I’m very glad that it’s back in my life. That should read “yarm.” Autocorrect produces some interesting results! Hi Lynette. I had to go to google to find out what that word means. I can’t recall ever seeing it before. Thanks for expanding my vocabulary! I’m glad you rediscovered your wonderous old food friend! And congratulations on combining your two themes!! Well, I guess I was stretching things a little, or maybe more than a little. But I sort of pulled it off, I think. Thanks for the visit, Marie. I’m always glad to hear from you. I guess marketing folks are making attempts at not just selling more but being more “morally” inspiring with their products? As long as you still buy them of course. Hi Mimi. No doubt. Their bottom line though, as always, is profit. I love the way you wrote about your trip to the mall! But on a more serious note, yes, the world would be a better place if more of us took the time to do what makes us happy. The positive frame of mind that would result would make us kinder, more tolerant, etc. Even if those signs were just something for us to buy (as they always are at a mall), their message was a good one. Keep writing, Neil….. Many thanks for the thumbs-up, Ann. I appreciate that! I always think “cheeseburger in paradise,” like the Jimmy Buffet song, but I’ll definitely cruise over from American Fast Food Heaven to Paradiso Italiano, for the eggplant parm. Marco Polo was the guy, at least in legend, who brought back noodles from the Orient and introduced the Wonders of Pasta to Italy, right? 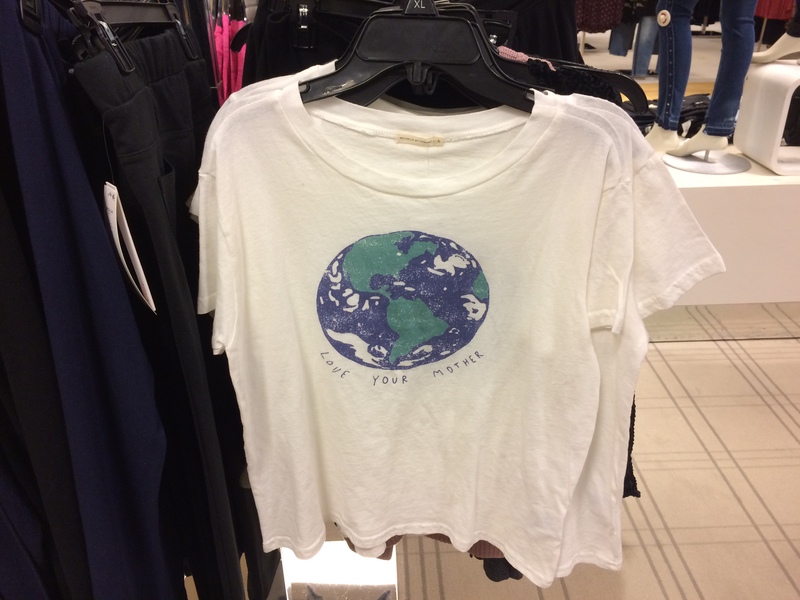 And here you went on a voyage to the wondrous land of Made in China, and came back with some genuine inspirational messages, I’d have never thought of a mall as inspiring, this essay bears the hallmark of an imaginative mind, pretty cool! Greetings, Robert. I once read the book that MP wrote, but I don’t remember a whole lot about it. He spent quite a few years in China in the second half of the 1200s, and was a very amazing guy — that much I recall. And thanks for the pearls of wisdom! You’re a regular shopping mall savant. I like the words “aubergine” and “berenjena” more than the word “eggplant.” They sound sophisticated! On of my favourite dishes too – I love eggplant / aubergine and get quite cross when the supermarket has run out, as it did this week. How dare they! I’m going to have a word with your supermarket’s manager! Thank you, that will be MOST helpful! Whoa, Neil, you outdid yourself in this one, buddy. So many things (like in a mall) to observe. Where to start? Okay, “We have thrown business Marco Polo’s way for around 25 years.” This made me laugh. Looking for that free “appreciation” dinner for your longstanding patronage? Well, I hope they give it to you. Cheap at the price of advertising these days. 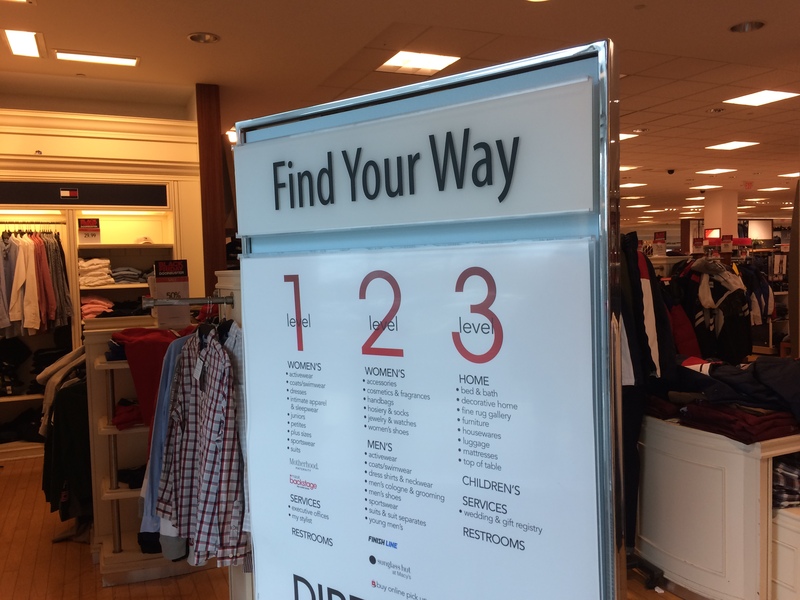 As for your “awakening” in Macy’s: “Find your way.” Though you have not indulged in the sacred weed for decades, I just want to let you know that I live in one of two towns in Massachusetts with its own WEED STORE. Attempting to drive to the bus station to pick up my daughter for Turkey Day, I was waylaid by HUNDREDS of weed-seeking folks lined up around block after block, their cars making the roads impassable. Said folks, once parked, stood for hours in the cold, with a sub-zero wind temp, just to toke down. I’ll take a beer in a warm bar any day. 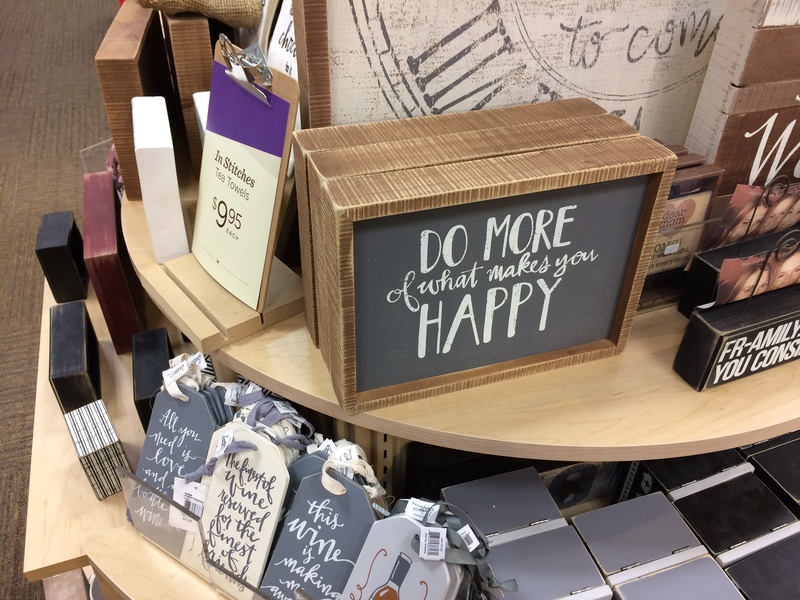 “Do More Of What Makes You Happy” is a magnet my husband posted on the fridge. It is his mantra, his credo, and he lives by it. I’m the driven one in our house. If only I could find a way to fit 48 hours into 24 hours. 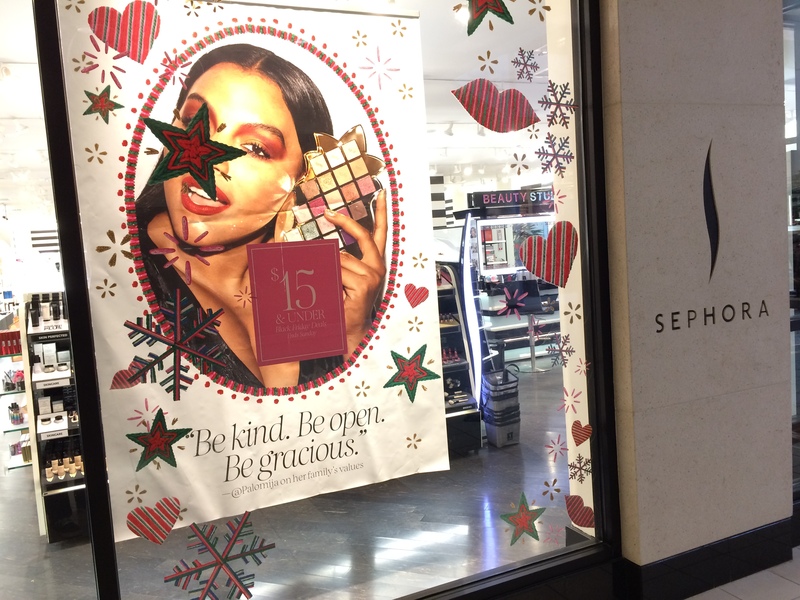 As for Sephora and kindness, damn they tipped off my next blog post, skedded to drop December 1. Well, hell, it is the holidays. May your days be merry and bright. You know, two years ago I was in Amsterdam, where grass is legal. I came close to smoking some in one of the city’s so-called coffee shops. But I was afraid of how my mind and body would react, considering I hadn’t smoked any in many years. So, I didn’t indulge. But maybe one of these days . . . Your husband has the right idea. To tell you the truth, I think it takes a good amount of courage to up the amount of whatever it is that makes you happy. Hallelujah indeed, Neil. Who could have predicted the profound effects of the reversal of your amnesia?! More eggplant parm to you, and a better world to all of us! Keep spreading around that positive energy, Neil—according to the butterfly effect, you could be changing the world! Hi Diane. Every little bit counts! Indeed, a valiant attempt to connect eggplant parm with mall signage, and I applaud you for that. Keep ’em coming, Seinfeld! I really enjoyed reading this post Neil. The little things that make us happy have the domino effect on the rest of our life and the people whom surround us. Thanks for reminding me to be happy with my life – we all need reminders as we take so much for granted. Eggplant, huh? Not too sure about that. Something about eggplant arouses my deepest suspicions. Hi there. 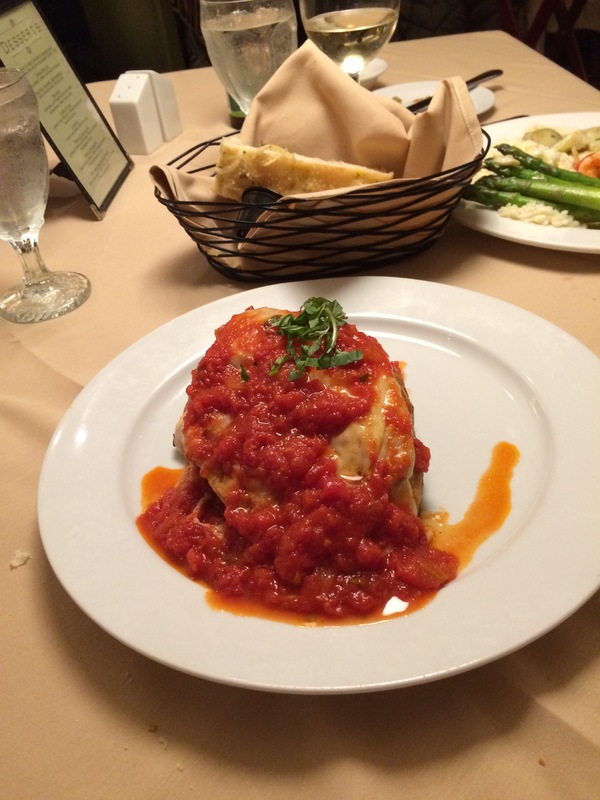 If you have any good Italian restaurants near you, you might want to give eggplant parm a try. When prepared properly, it’s terrific. I miss eggplant parm, along with so many things that are touched with gluten … your photo made me salivate. This week, as my wee Fergus has been in hospital hooked to an IV and is going under the knife as I write this, he and I have been on the receiving end of sooo much kindness, generosity, helpfulness, compassion — I can affirm that it makes the world a far better place when all that is passing around. It’s the reason for the season, as they say. C C, I hope that Fergus will be okay. From reading your articles, it’s clear to me that he’s a great dog. I like how you brought that full circle Neil! Eggplant parm, inspirational quotes, they all go together. Thanks Kathy. Everything’s sort of interconnected in this world (maybe). Hi Laleh. When it’s cooked properly, it’s great. The meaning of life in store hoarding and a pasta dish. Fantastic! Words of wisdom indeed. I wholeheartedly agree, and I have a sudden craving for eggplant (or aubergine as we know it on this side of the pond). I see a delicious serving of eggplant/aubergine parmigiana in your near future! Yes – egg plant Parmesan, as I call it, is the bomb! I’m ready for my next serving of eggplant parm. I think it will happen in the very near future. Can’t focus on the advice. Can only think about the eggplant parmigiana. I know what you mean. When it’s made properly, eggplant parm is out of this world. Now you make me want eggplant parm. 😉 Going out for dinner tonight and look forward to ordering it. And agree we all need to do what makes us happy. There is too much sadness in the world, and I don’t want to add to it if at all possible. I like and agree with your final sentence. As for your dinner tonight . . . enjoy! Hello Neil, All the essays you write are great but this is my favorite. On my next night out, I’m going to order eggplant. Last week I ordered turtle soup – it took me two and a half days to finish the meal. And I’m all in favor of being kind and doing what makes one happy – you preach a great sermon. Hi Jerry. Please eat the eggplant parm faster than you did the turtle soup. Yeah, I have eggplant parm. amnesia too! It must be a common affliction. Funny how eggplant parm. goes missing from our minds, but somehow Whoppers never do? And one step ahead of you (this week, at least) on the positive vibes suggestions (due to the last two weeks, as you know, of sciatica hell). I’m a new woman! Feeling the love, spreading the love. Good to hear from you, Stacey. Is the sciatica easing off at all? Yeah! I’m a new woman! It sounds as though you connected with this essay. As always, many thanks for your input, Tyler. I don’t think I’ve ever had eggplant parm. Sounds like I need to rectify that! Nice take on those signs. Being a mom of children constantly saying “CAn we buy that? Let’s get that! Can we pleeeeeeease buy that today?” I, um, don’t hit the mall much. 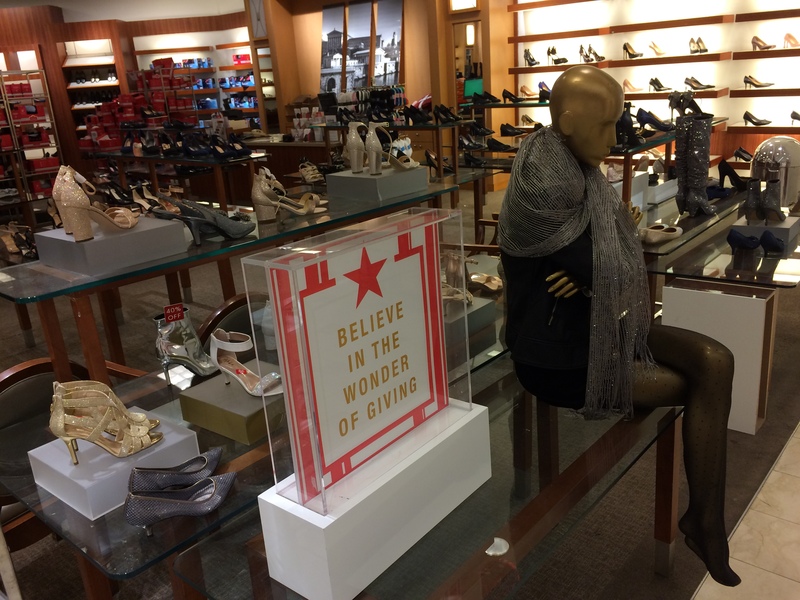 A pity they don’t just have signs like this up all the time to encourage a little goodness akin to Miracle on 34th Street… (the original b/w, not that remake nonsense)…. Hi. Last night I had eggplant parm for the 8th time in 11 weeks. Maybe I’m overdoing it. There are worse things to be addicted to, though. I wouldn’t mind seeing the original 34th Street again. A wholesome, really nice movie. Many thanks for stopping by, Jean. Have a great upcoming week. Hi Cath. Glad you enjoyed this story. I’m not positive how true my points are, but I tend to think they’re pretty valid. Enjoy the week. Thanks I will, hope you have a good week, too. ‘Parm” here I come. Thanks fella! I’ve had eggplant parm eight times since September. I am on a roll. You are my hero! I love your style. 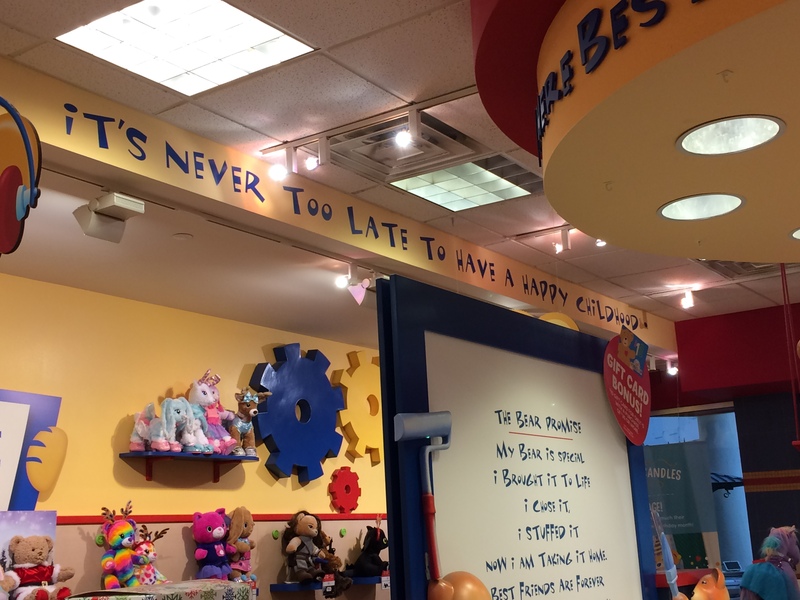 Neil, an inspiring post from your mall outing … and who knew they offered such wisdom! I’m glad you were in a happy mood and took note of the messages around you. The eggplant (aubergine for us Europeans!) parmigiana sounds and looks delicious and as a vegetarian this tempts me! I’ll look out for it … or try finding a recipe! So love eggplant parmigiana! Delish. One of my friends has lived in South Philly all his life. He knows the restaurants there and in other parts of the city. I’ve been meaning to ask him where he thinks I should go to get good eggplant parm. It will be a revelation to you! I’ve got a feeling that, deep inside, you have a heart of gold! I thoroughly enjoyed this post. Julia Cameron advises artists to take ourselves off on “artist dates” for the express purpose to raise our enjoyment quotient, for the benefit of our art, and the world in general. I couldn’t agree more. Plus, you know, it’s fun. It really lightens my hear that you were able to find so many messages of hope at a shopping mall, of all places. Melissa, many thanks for adding your thoughts. Julia Cameron definitely has the right idea! My pleasure. I enjoy your posts very much. Many thanks. I appreciate that a lot. Identified strongly with the parts about the eggplant parmigiana, feel the same way about it. But never experienced any period in my life where I didn’t love it. As for strolling into malls, not to mention Macy’s, you should know better. Hi there. Thanks for stopping by. Yeah, I can’t figure out why I stopped eating eggplant parm. But over the last few months I’ve been making up for lost time! Good to hear you’re on a good path. Bon appétit!